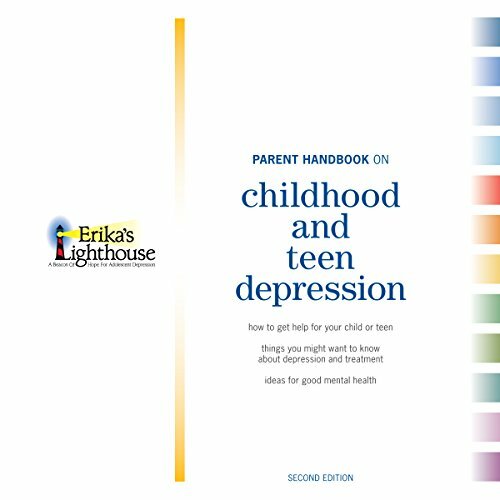 The Erika's Lighthouse Parent Handbook on Childhood and Teen Depression is a practical guide written by parents for parents who think their child may be suffering from depression. Our handbook offers tips on how to get help, things parents might want to know about childhood and teen depression and treatment, and ideas for good mental health. Welcome to the Erika's Lighthouse Parent Handbook on Childhood and Teen Depression, Second Edition. You may be listening to our handbook because you think your child is depressed and you want to know what to do. We are here to help you. You are not alone. Somewhere between 15% and 20% of our children and teens will suffer from at least one depressive episode before they reach adulthood. These episodes come in many forms - ranging from the child who doesn't want to go to school to the teen who is constantly in a rage to the withdrawn child who barely speaks. Often, these episodes are seen as just a phase, or typical behavior, but depression, clinical depression, is not part of typical behavior - it is a disorder that deserves attention and needs treatment. We hope this handbook will be a helpful guide to you as you deal with the many issues you will likely confront over the course of your child's depression. We know this is probably a frightening time. You may feel helpless and alone. We invite you to listen to our handbook with the hope that it will give you both some comfort and some answers. And we hope you will find some helpful tips on how to help your child maintain good mental health and find happiness, something we all want for our children. Our goal is to help you navigate a difficult time in our life. We hope our handbook will be helpful along your journey. For more information about us, please visit us at erikaslighthouse.org.